IT Outsourcing is the process of assigning a company’s business IT processes to a Managed IT Service Provider. For larger companies the outsourcer might be offshore to leverage lower labor costs. Smaller businesses with less than 100 PCs can typically gain great advantages by outsourcing to a local IT Service Provider. However, the path to a great IT Outsource engagement does come with some business risk, which can be mitigated if you know what to watch out for. Let’s take a look at IT Outsourcing and discuss how to stay out of trouble. What are the effects of IT Outsourcing? IT Outsourcing is the delivery of a defined set of proactive services that are remotely delivered on a fixed-fee basis and prepaid on a recurring basis. Across industries IT Outsourcing is primarily undertaken to enable companies to generate better revenue recognition and to provide them an added competitive differentiator. While always done with the best of intentions, IT Outsourcing has a telling effect on a company’s products and services, either enhancing or lowering their quality. 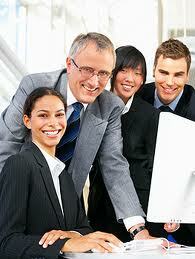 The goal is to have the IT Outsourcing provide you with a competitive edge. And, based on how effectively the IT processes are managed and delivered, IT Outsourcing can also result in easier management and better productivity. What are the pros and cons of IT Outsourcing? IT Outsourcing can provide enterprises a competitive advantage by delegating their IT business process to a Managed IT Service Provider who can deliver better quality and improved IT innovation. While this is a fair picture of the desired outcome, managers need to consider the possible shortcomings and negative outcomes of the process and the corresponding impact on the company. To best analyze the opportunities presented it is essential to reflect upon the advantages versus the disadvantages of outsourcing. Reduced and controlled operating costs. Cost-effective access to Enterprise-level support. Freeing of management time, enabling the company to focus on core competencies while not being concerned about their vendors. Peace-of-mind with the knowledge that the IT environment is being monitored 24 hours a day, 7 days a week. The Managed IT Service Provider will on occasion have their employees at your office, so to protect the security of your employees and of your data, request to see 3rd party background checks of all of the Managed IT Service Provider’s engineers. Is your IT Service Provider in the Technology or the People Business? There is nothing more exciting than seeing a client achieve their business goals with technology; however, there is nothing better in life than watching your employees move from just doing a job to becoming wildly successful with our clients. It’s exhilarating for me to see the maturity, excitement and confidence that are the direct result of client success. As a business owner I bet you are used to hearing over and over the same employees names mentioned when it comes to success… I never hear that Server was amazing, or that Firewall saved me… but I often hear that engineer worked above and beyond what we ever expected of ANP! 1) Humility – My best employees and engineers are humble; you would never know when you meet them that there are some of the smartest and most talented engineers in Philadelphia. They just work hard all day long; they roll up their sleeves and jump into our clients problems as if they were their own. These employees know that our client’s success translates into their own success! None of these great people rest even for a moment on their previous success stories. Every day is a new challenge and a new chance to demonstrate how great they truly are! 2) Generosity – Great employees love to give back to their clients and to their own team. They are great leaders and they rarely see themselves in that light. They mentor new employees and new clients; they give freely of their time and talents without ever expecting anything in return other than the innate sense that they did the right thing. 3) Business Orientation – My best employees know their clients, and know how our clients get work done. They are always in close contact with the employee or decision makers, they never hide behind a service request ticket status. Many in our company, while once technical, have taken on business leadership roles and are willing to rely on the technical employees to make the technical decisions. As a result our business people can focus on business results and not on the speeds-and-feeds of technology. I for one am so thankful for the fine employees at ANP that focus everyday on our clients as people and not as a technical service issue. How is your IT service provider performing did you a hire a technology company or a people company? This is a great time of year to invest a moment to take stock!